Let's review. Why Closed Fingerings again? Punctuation and percussion; what you can learn from a good drummer. Numbers. How to build big off of small. When is a #9 NOT a #9? The notes seem to come from out of nowhere. Fret not. Thoughts on regretting your instrument. Complexity leads to simplicity. How do we make music simpler? Vamps Pt. 1: Creating energy with Diatonic triads. Why is an E# not just an F? 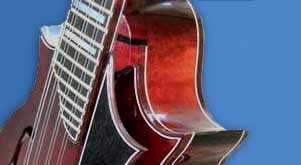 Don't miss our past issues of Mel Bay's MandolinSessions.com, a free webzine educational service. For an entire listing: Jazz Mandology.